Brandon is the Vice President of Development for StormFisher. He has been in the waste to energy and value-added product space for the past 15 years. He owns and operates a large-scale anaerobic digestion facility in London, ON and has used his entrepreneurial and results-oriented approach to successfully identify business opportunities and execute these types of critical projects. 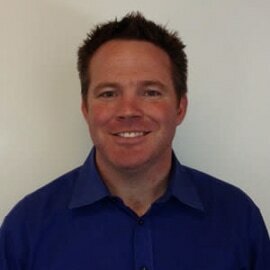 He has taken an active role in policy and advocacy as the industry has moved forward and uses his skills to engage stakeholders, creatively develop projects from the business development, planning, estimating, negotiating, budgeting and procurement phases to direct client liaison and project oversight. He is a Professional Engineer with a degree and MBA from the University of Waterloo.